As the colorful leaves fall from the trees - it's important to honor the seasons changing with a proper drink in hand. Signature and seasonal cocktails are the perfect way to excite guests while entertaining. Weather at your home, for your wedding, or a social party 1 or all of these cocktails will please your guests. Whether you’re mixing cider with your sangria, apple with your martini or pumpkin spice with your hot chocolate, these recipes will brighten your fall function. Plus, with one of these in your guests’ hands, they’ll dance with you all night long. 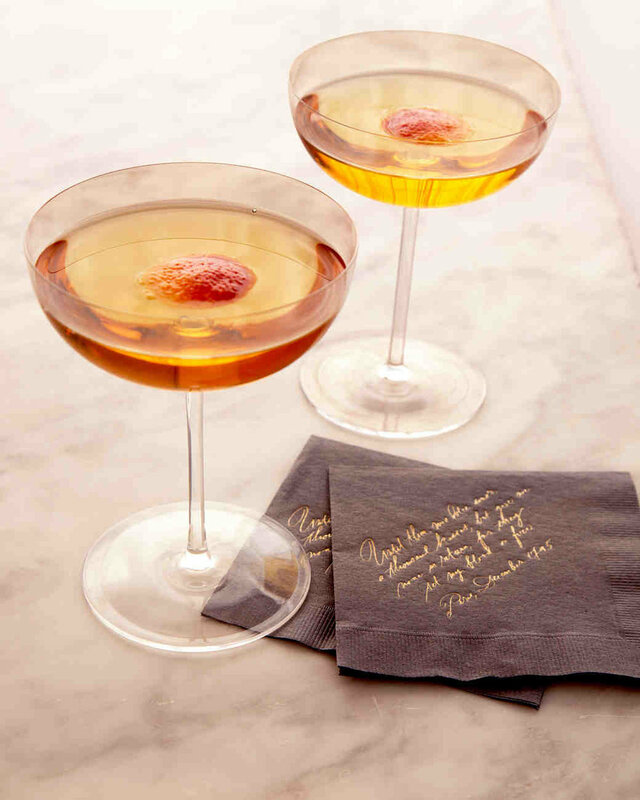 See our favorite fall cocktails below! Serve a seasonal drink made with rye, Champagne, bitters, blood orange, and maple syrup. Add a dash of the hard stuff, and hot apple cider turns into a cocktail with a kick. This cinnamon-vanilla rice drink is a frothy Mexican classic. For a spiked version, stir in a little rum. Blood-orange juice and spices combine for a wonderful fall mixture. Serve as is or topped with sparkling wine, sparkling water, or vodka. The sugared rim and rosemary sprig add the perfect touch of festivity. We are looking for a talented ROQUEstar for a fall internship. Our goal is offer our intern a stellar Creative Coordinator position following their internship. The internship is up to 180 hours of learning + hands on experience planning with Raquel and the ROQUE team.